The International Film Festival Rotterdam opens its 2019 edition today, meaning that for a week-and-a-half, my home town will be mostly dedicated to films. The yearly fest is the largest cultural event in the Netherland in ticket sales, and tens of thousands of visitors will brave the bad weather (and slippery sidewalks - always good for a few victims each year...) to see their share of International cinema. What sets the festival apart from similar ones is the dedication to finding new talent. While the occasional glamorous premiere happens, they are rare, as the Berlinale a few weeks later is a far more popular event for stars. In Rotterdam, you're more likely to see debut films and meet obscure arthouse heroes. This year it's not different: of the 236 feature films (and over 250 shorts) in the programme, many are world premieres from debuting directors. Even the festival's award, the Tiger, can only be won by a film which is the first, second or third effort by its makers. This focus on relative unknowns and newcomers also makes it hard to pick a schedule beforehand, as you sometimes have absolutely no clue what to base your choice on. But not all gems are so hidden. Several have played at other festivals, or have otherwise been covered on our site already, so here is a short list of things to look forward to in the next ten days! 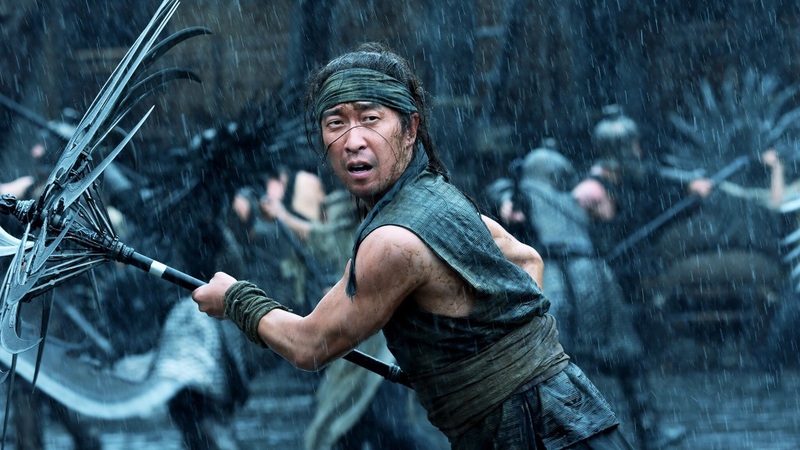 Zhang Yimou's latest film is a new martial arts re-telling of the epic War of the Three Kingdoms, this time heavily featuring the famous people's body-doubles, called "shadows". The film's special effects supervisor Samsong Wong is present at the festival and will give a masterclass about the many effects used in the film. It's taken some time, but Gaspar Noë's newest finally arrives in the Netherlands. In it, a dance group's party turns crazy when someone spikes the sangria with LSD, resulting in a very wild ride for all involved. In his review from earlier this year, Kwenton Bellette calls the film sublime. And Gaspar himself will be at the festival to answer questions. Cool! Claire Denis has made her first fully English-language film, and it's a bleak science fiction tale of a group of misfits stuck on an endlessly accelerating spaceship, trying to survive each other and their hopeless mission. In her review, Shelagh Rowan-Legg praises the film's slow-burn, disjointed, yet perfectly tuned narrative. Speaking of Claire Denis, not only is she visiting the festival in person this year, she will also be giving a masterclass in filmmaking, hosted by Simon Field. Dare to attend! This is Cristina Gallego and Ciro Guerra's gorgeous film about a tribe of north-Colombian native people who become VERY rich when they start the large-scale Colombian drug trade at the end of the sixties. I saw the film at the Shivers Film Festival, and in my review I said Cristina Gallego and Ciro Guerra work wonders with the setting, the background and the focus of the story. By showing the beginning of the modern drug trade (rather than re-visiting its heyday again), and showing it from the point of view of the Wayuu, this film is something special indeed. Highly recommended! Emma Tammi's film is a striking feature debut, a horror film in a western setting about things that go bump in the night, or things that at least try to drive people crazy. Focusing on the women of two neighboring farms, this is very tense stuff, bolstered by some stellar acting and a few terific shocks. In her review, Shelagh Rowan Legg calls the film a confident, thoughtful, yet creeping and powerful film, with well-earned jump scares and demons both real and possibly imaginary, enough to make you afraid of the dark and the emptiness of even the most beautiful places. 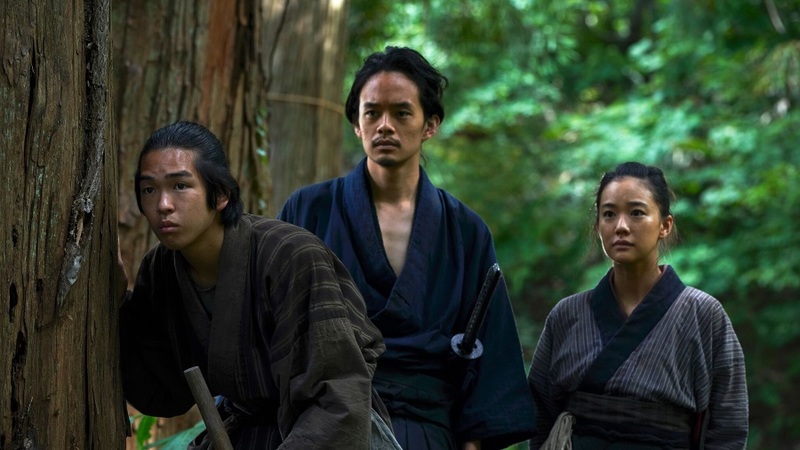 Shinya Tsukamoto's newest film is about a talented swordfighter who refuses to kill, even if his life and the lives of the people he loves are at stake. In his review, James Marsh says:"...Tsukamoto has delivered a bold, evocative film that is propelled by a raw, desperate energy and resonates like the work of a much younger artist, and proves never less than wholly engrossing." Argentinian writer-director Alejandro Fadel has made a genre-bending thriller, in which the police investigates a string of murders in which women have been beheaded. Is there a serial killer at work, or is it a monster, as the locals claim? 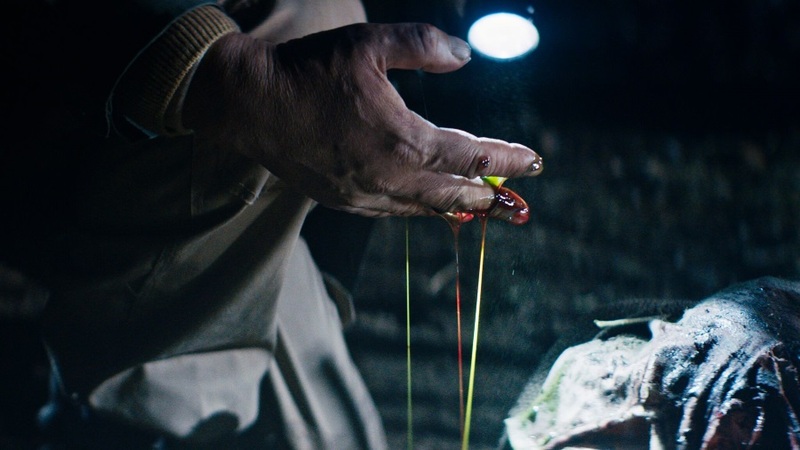 In his review, Martin Kudlac says the director cultivates the nightmarish atmosphere, plays with Lovecraftian myths, and doesn't shy away from throwing ina great twist where needed. 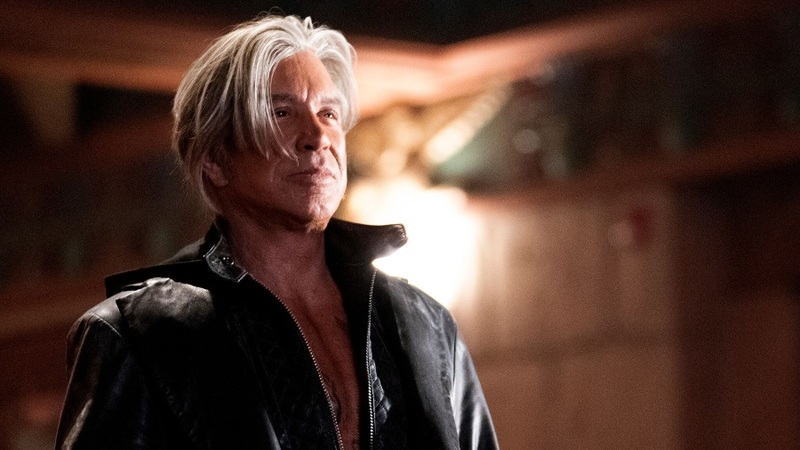 A horror anthology with Mickey Rourke as a looming cinema projectionist who shows patrons some horrific visions from their future. The segments have been directed by Alejandro Brugués, Joe Dante, Mick Garris, Kitamura Ryuhei and David Slade, so what's not to like?